Wood Canyon Vista Trail, shown here. In this day and age the most effective way to achieve anything for the public good is to collaborate. Whether those collaborations are with land managers, other trail user groups, public-private partnerships, or other entities, they are necessary. Nothing gets accomplished in a vacuum. It was through such a collaboration that the Strawberry Peak loop was restored and re-opened in the Angeles National Forest, which has recently become the San Gabriel Mountains National Monument. This was only possible with several groups pooling and sharing resources and coordinating efforts. To help bolster support and improve community participation in and stewardship of the new San Gabriel Mountains National Monument, a Community Collaborative group has been formed. The first meeting of the full Collaborative group was on March 4th, 2015. We had a broad range of interests in attendance. Several water district representatives were there, as were those from Caltrans, Edison, two LA County districts and Flood Control, San Bernardino County, other councils of governments and chambers of commerce, Native Americans, several social and health justice organizations, Mount Baldy Resort and the recreational organizations CORBA, California Off-Road Vehicle Association and the Community Hiking Club. The National Forest Foundation did an excellent job of winnowing down an extensive interest list to bring this group together. One of my roles as a member of the Community Collaborative is to bring your concerns to the table going forward. Feel free to contact me with any concerns that you might find. In turn, I’ll be reporting back to you on the work and progress of the Collaborative, in addition to the Forest Service management plan development process. 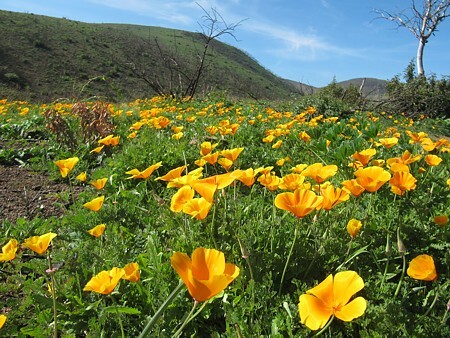 To read the full discourse on the imporance of collaboration and the development of plans for the San Gabriel Mountains National Monument, view Steve's article on CORBA's blog. Also, you can view a video on the Strawberry Peak Trail restoration. Over the past year, CORBA leaders attended over 150 meetings and public hearings in support of trails and mountain biking in Southern California. 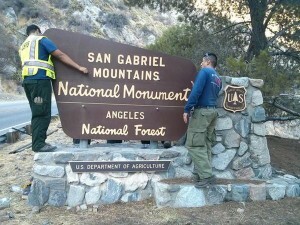 We helped get Strawberry Peak and many other trails re-opened after the Station Fire in the Angeles National Forest. We maintained trails in the Santa Monica Mountains and Conejo Valley, and we’re working hard to bring urban Bike Parks to Southern California. But we need your support, your membership, to keep doing it. March is a great time to join CORBA! 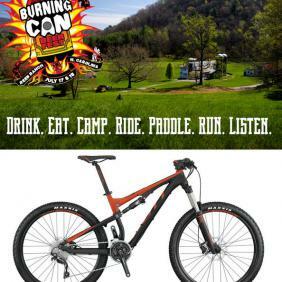 Everyone who joins or renews their membership to CORBA/IMBA during the month of March will be entered into a random drawing for either a Scott Genius 750, or a VIP trip for two to the Burning Can Beer Festival at the REEB ranch in North Carolina. If your membership doesn’t expire for a while, the renewal will add a year to your existing membership. There are additional incentives continuing into spring. Join CORBA, or renew your membership this month. 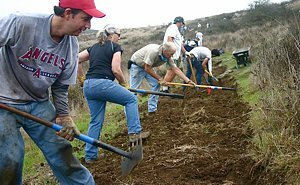 Your membership supports our efforts at the local level in Los Angeles and eastern Ventura County, and IMBA’s efforts nationwide. Full details of the giveaway are available from IMBA, and official rules are available here. Jim Hasenauer, one of CORBA’s and IMBA’s founders, will be giving a free presentation called "Mountain Biking in the Santa Monicas" and is a part of the MRCA Chautuaqua Talk Series. An appreciation of off-road bicycling in the Santa Monica Mountains with a focus on its history, its growth, bike advocacy, and relations with other trail users. 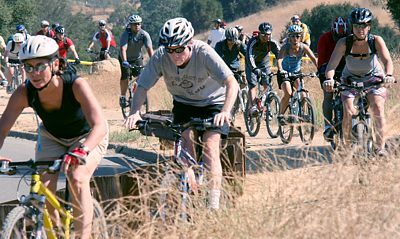 Once called the "new kids on the block", mountain bicyclists have now been riding the trails and contributing to the trails community for more than thirty years. Come learn about the evolution of the sport, public policy, and sustainable trail design. Learn where to ride, what to ride and how to ride. What does the future hold for mountain bicyclists in the Santa Monica Mountains NRA? The talk will be held in Woodland Hall at the Temescal Gateway Park, 15601 W. Sunset Blvd, Pacific Palisades (Map). March 21, 2015: COSCA Spring Trailwork Day. For Thousand Oaks' annual event, this year we'll be working to restore a lower section of the Lizard Rock Trail, and also some other trails accessible from Hill Canyon. For full details and to register, see our Meetup event and registration page. Summary of the January 31 High School Mtn Bikers trail building in Calabasas: Riders, coaches and parents from Calabasas HS, AE Wright Middle School, Royal HS and other schools in Simi Valley spent six hours on Saturday to build 300 yards of a new trail. This was half the length of a trail that was roughed in last year to bypass the swamp along the Historic Trail, part of the New Millennium Loop trail system in Calabasas. To see the full report and photo gallery, visit our blog report... Our blog on this event was copied by Mountain Bike Action! 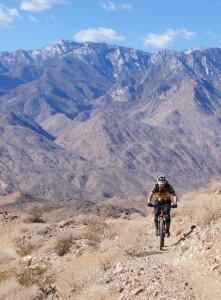 Palm Canyon Epic (PCE) is one of the iconic long-distance rides of Southern California. It’s a spectacular route in the Santa Rosa Mountains, south of Palm Springs, where many dedicated mountain bikers make an annual winter pilgrimage to ride. The BLM has completed an environmental document for a land swap with the Agua Caliente band of Cahuila Indians. While the tribe’s stewardship of their lands has been positive, the tribe doesn’t allow bicycles on trails and charge a fee for hikers and equestrians. In the land swap, portions of the Palm Canyon trail, and many other trails important to the local communities, would become tribal land. They’ve posted “no bikes” signs on the Indian Potrero trail, which crosses tribal land for a short distance, and is a part of the classic PCE. Now is the time to make your voice heard and write to the BLM. Comments must be received by March 29th, 2015! View our blog for further details and a sample letter. Watch some videos of mountain biking in Palm Canyon. It’s been a VERY busy 1st quarter for GGR!! We are starting to solicit vendors for this years 2015 GGR Rocktober event! Signed on so far are Clif, Liv, Trek, Specialized, Petal Power, ZOIC, Kali Protectives, Dirty Jane, G2 Bikes, Michael’s Bicycles, Apothecary Muse, Ultimate Health. Saturday March 7th is the next skills clinic.